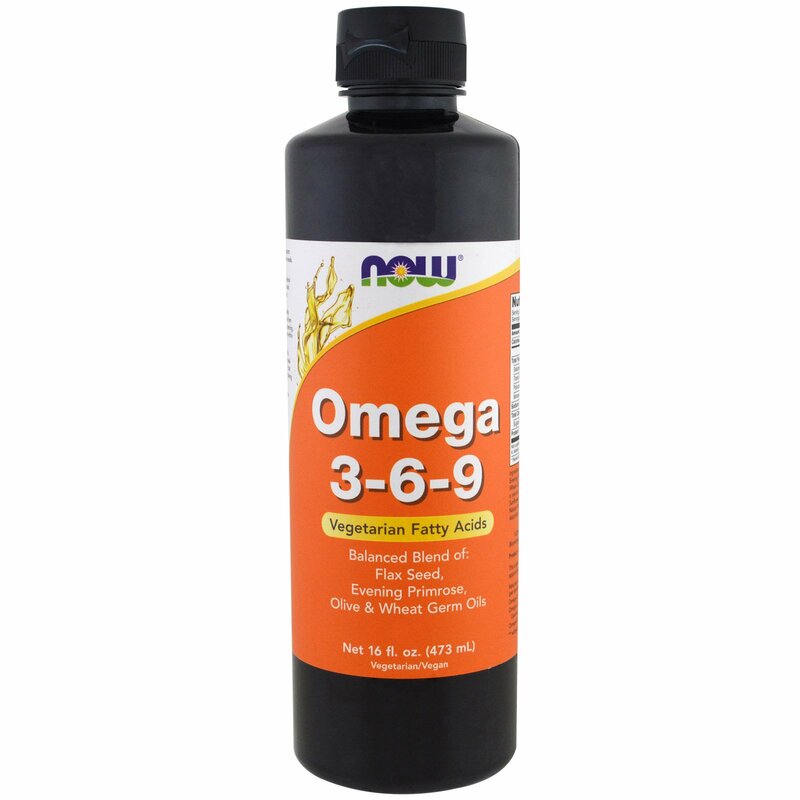 Omega 3-6-9 from NOW is an optimal blend of essential fatty acids, sourced from Flax Seed, Evening Primrose, Olive and Wheat Germs Oils. In order to retain the highest quality oil, keep bottle refrigerated away from sunlight and tightly closed after opening. For maximum freshness, consume within 6-8 weeks after opening. Take 1 table-spoon 1 to 2 times daily, preferably with meals. Organic flax seed oil, organic evening primrose oil, organic olive oil, wheat germ oil (expeller pressed) and a natural antioxidant blend of organic sunflower oil, organic rosemary extract, natural mixed tocopherols (from soy), ascorbic acid and citric acid. 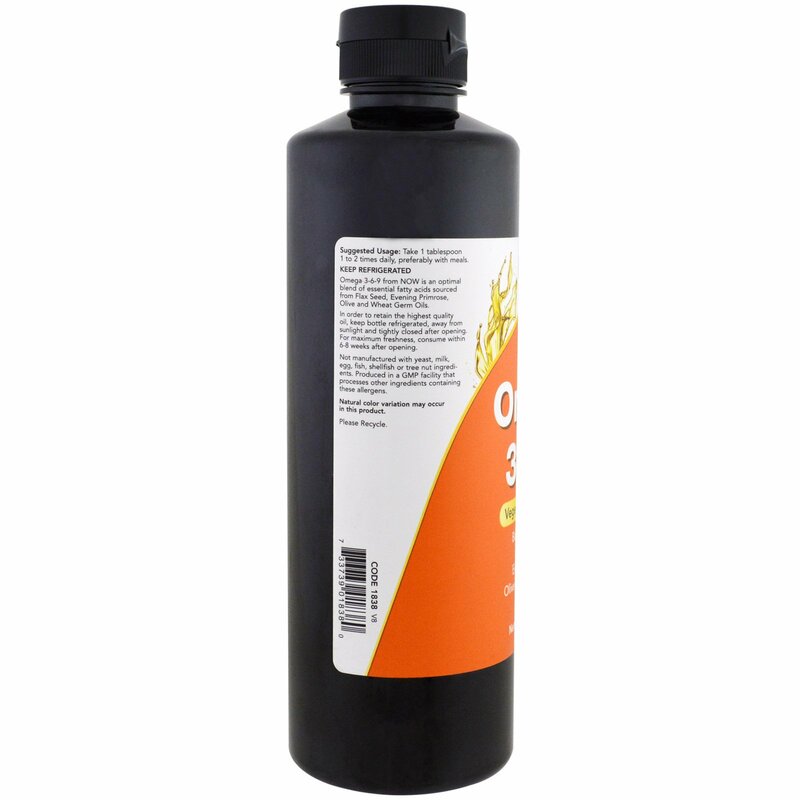 The organic oils used in this product make up approximately 95% of total weight. Not manufactured with yeast, milk, egg, fish, shellfish or tree nut ingredients. 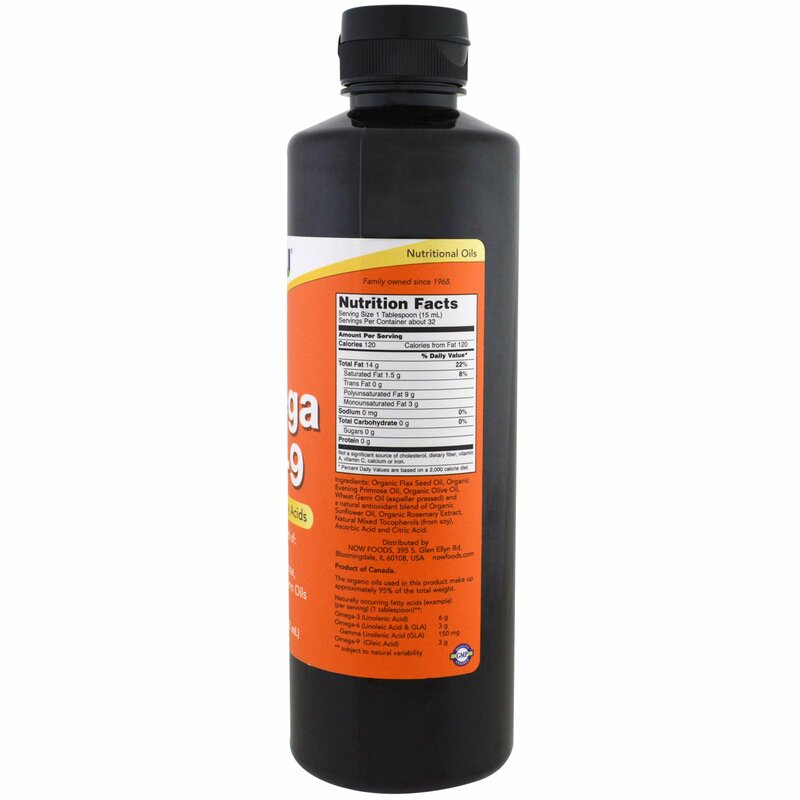 Produced in a GMP facility that process other ingredients containing these allergens. In order to retain the highest quality oil, keep bottle refrigerated, away from sunlight and tightly closed after opening. For maximum freshness, consume within 6-8 weeks after opening.